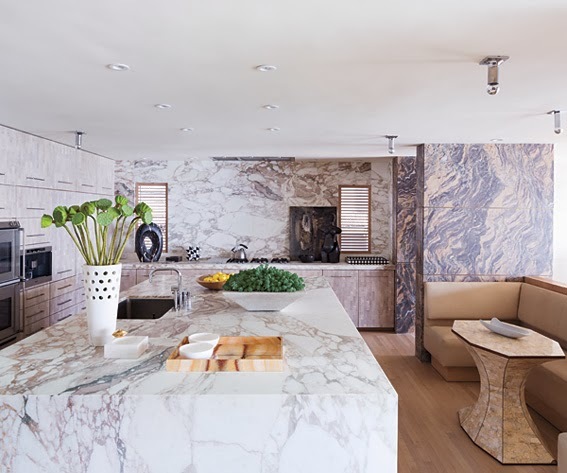 Kelly Wearstler's Malibu home was recently featured in InStyle magazine. 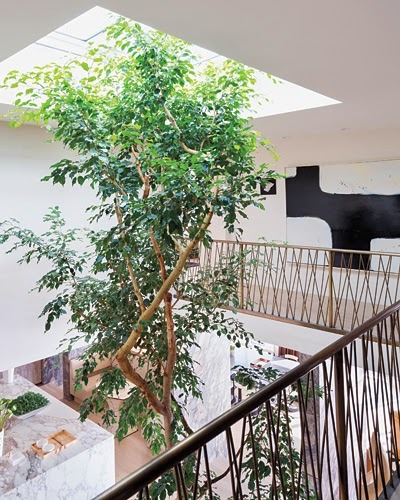 full of different movements, textures, and natural elements. 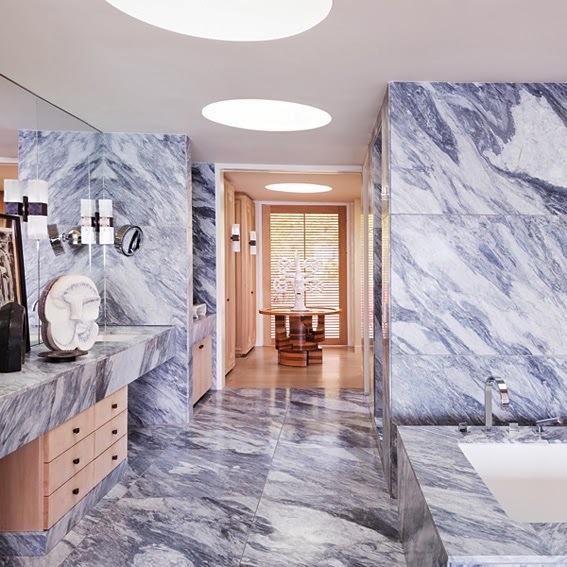 while the floor to ceiling marble makes such a natural yet bold statement. 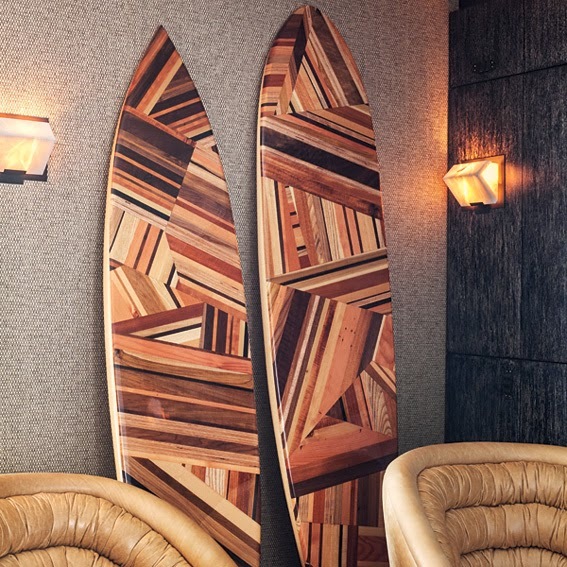 and the patchwork wood surfboards add a fun, beachy vibe!